The Rotary Club of Holderness Wishing Well at Spring Garden Centre, Sigglesthorne. 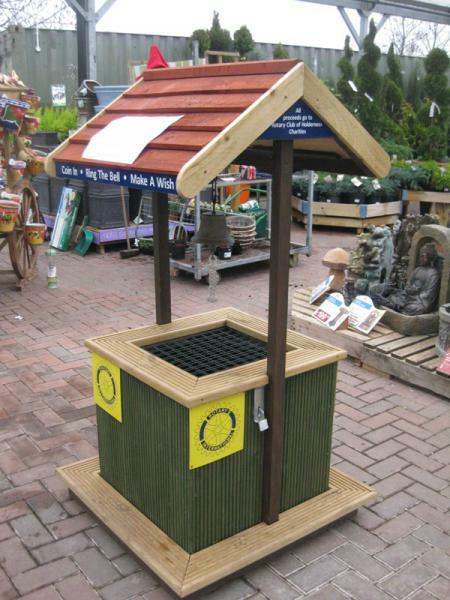 If you happen to be visiting Spring Garden Centre at Sigglesthorne, please look out for the Rotary Club of Holderness wishing well, which members placed there with kind permission of the garden centre management. As you are passing by please feel free to throw in your loose change... ring the bell... and make a wish! Between May 2013 and February 2016 over £275 has been collected from the well. This money is much appreciated and helps to fund Rotary projects, both local and overseas.